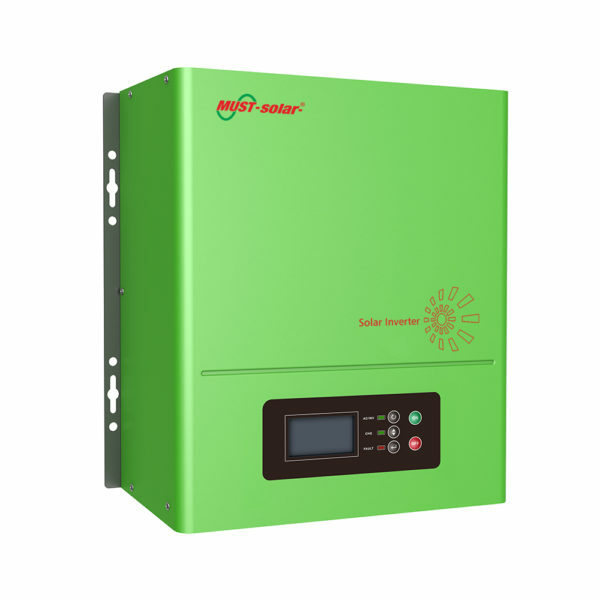 PV2000 PK built-in high efficiency solar controller. AC input voltage range for 140VAC-280VAC with regulated output (AVR) features, PV, AC function, A tracking feature such as power frequency. 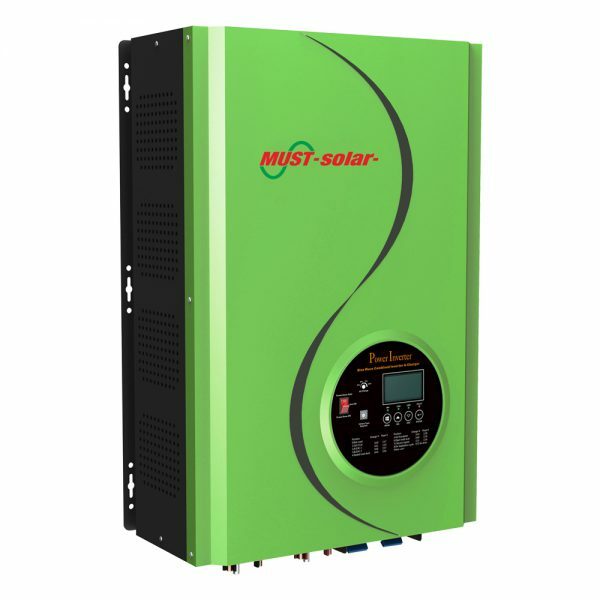 The output frequency can be set using the keys, AC /PV charging voltage, charge current, AC or PV priority mode, Battery under voltage shut-down point, and so many other functions. 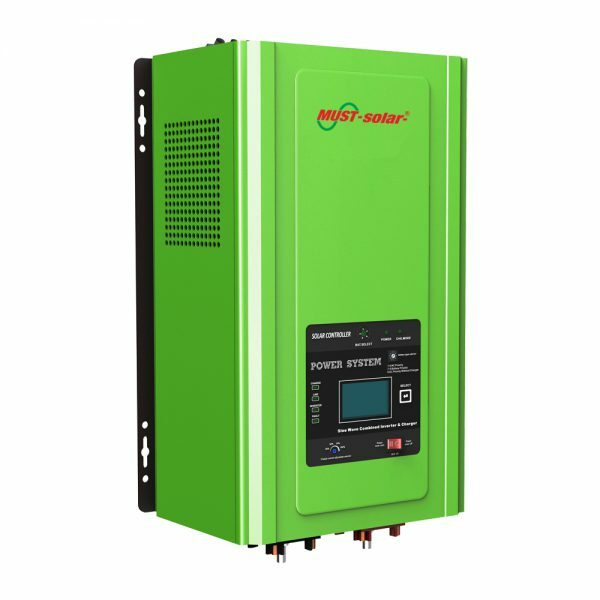 This is a multi-function inverter ,combining functions of inverter and mppt solar charger controller, solar charger and battery charger to offer uninterruptible power support with portable size. The comprehensive LCD display offers user-configurable and easy-accessible button operation such as battery charging current, AC/solar charger priority, and acceptable input voltage based on different applications. 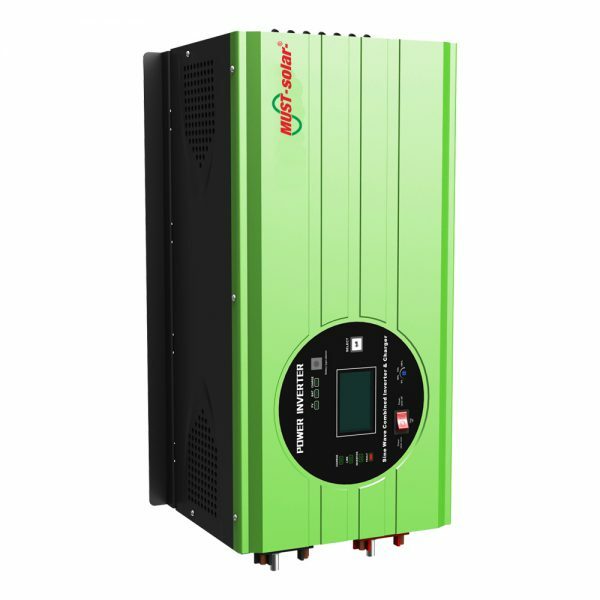 PV3000 PK series is a very economical pure sine wave inverter with 50A PWM solar charger controller. And AC charge current range is from 35A to 70A. PV/AC priority adjustable. When PV is priority, if its charging current is lower than that of AC, the AC will supplement the extra power and charge the batteries simultaneously. With low frequency pure copper transformer, the inverter is suitable for all kinds of home appliances. 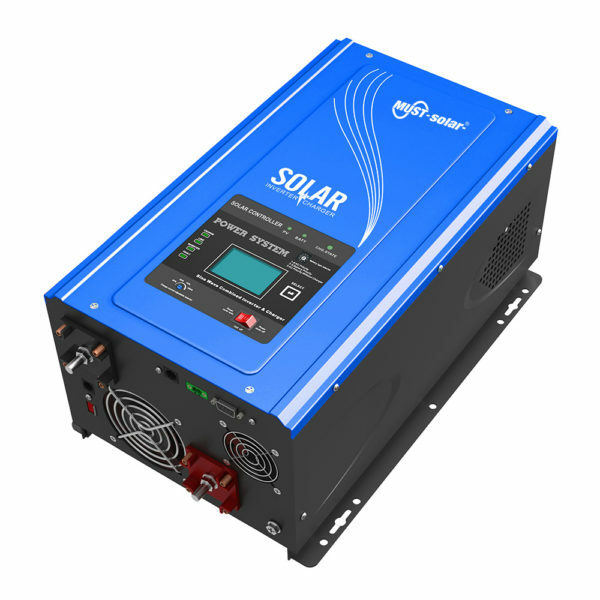 PV3000 MPK series is a multi-function inverter ,combining functions of inverter and mppt solar charger controller, solar charger and battery charger to offer uninterruptible power support with portable size. The comprehensive LCD display offers user-configurable and easy-accessible button operation such as battery charging current, AC/solar charger priority, and selectable input voltage based on different applications. 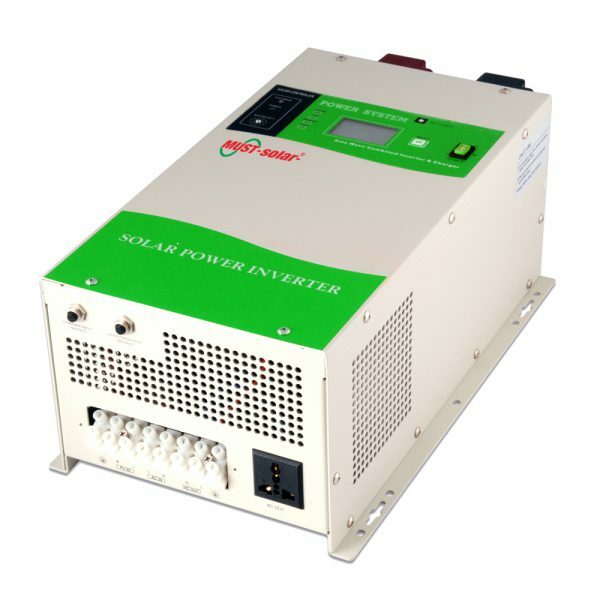 PV3000 PK series is a very economical pure sine wave inverter with 50A PWM solar charger controller. And AC charge current range is from 35A to 70A. PV/AC priority configurable. When PV is priority, if its charging current is lower than that of AC, the AC will supplement the extra power and charge the batteries simultaneously. With pure copper transformer, The inverter is suitable for all kinds of home appliances. 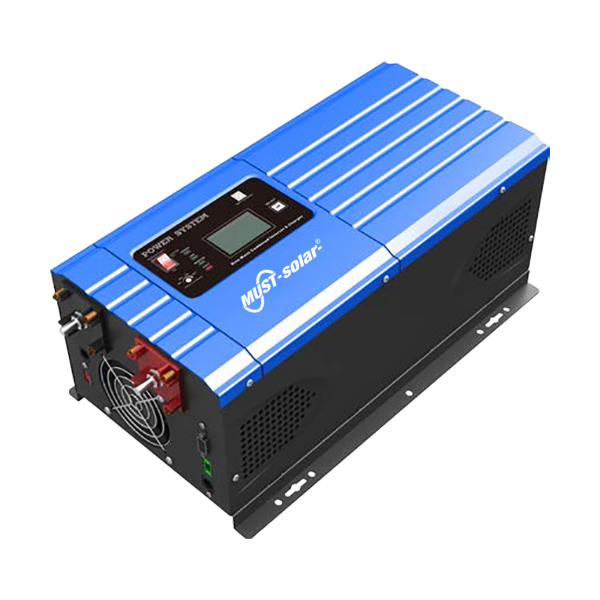 PV3500 series is a multi-function inverter ,combining functions of inverter and mppt solar charger controller, solar charger and battery charger to offer uninterruptible power support with portable size. The comprehensive LCD display offers user-configurable and easy-accessible button operation such as battery charging current, AC/solar charger priority, and selectable input voltage based on different applications.